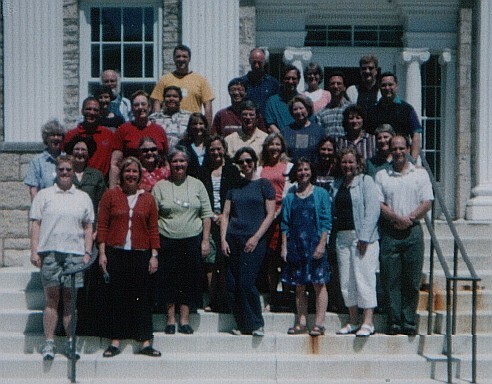 Over 30 statistics instructors (from 4 different countries) participated in the ARTIST Roundtable Conference on Assessment held August 1-4 at Lawrence University in Appleton, WI. Participants gathered to present and discuss issues related to assessing student’s outcomes in college statistics courses. Plenary speakers included George Cobb, Peter Holmes, Michael Rodriguez, Roxy Peck, Norean Sharpe, John Holcomb, and Joy Jordan. In addition, 17 talks were given on assessment theory/designing an assessment program, classroom assessment strategies, and authentic assessment methods. Participants also engaged in small group discussions about computerized testing software, developing exams that assess students at deeper levels, creating tasks that create cognitive dissonance, assessment in large classes, using classroom assessment techniques, group projects, scoring rubrics, and using writing as assessment. Participants were also oriented to, and provided feedback on, the ARTIST Assessment Builder and web resources. Papers and handouts from the conference are available here. 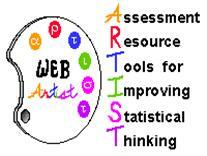 The Web ARTIST is an NSF-funded project that is developing Assessment Resource Tools for Improving Statistical Thinking.